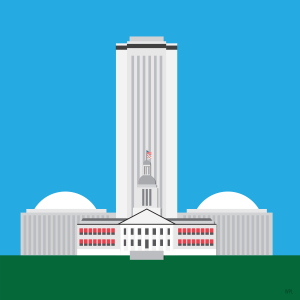 With the state Legislature in session, FBPE is keeping an eye on two bills that would affect Chapters 455, 471, and 553, Florida Statutes, and the practice of engineering. Sen. Keith Perry has introduced Senate Bill 616, which would, among others things, provide for early examination for professional licensure, provide a pathway to licensure for those graduating with an engineering technology degree, and shorten the length of time for endorsement of licensure from another state when the applicant has not taken the required examinations. There is also an accompanying House Bill 827, which has been filed by Rep. Jackie Toledo. In brief, both bills amend Section 471.013, F.S., to allow an exam candidate to take the Principles & Practice (PE) examination before gaining four years of engineering experience. The applicant must, however, evidence four years of experience before earning a Professional Engineer license. Commonly referred to as “decoupling,” this procedure is already allowed in approximately 19 states. Many other states are in the process of changing their laws and rules to allow decoupling, as well. Statistics have shown that the pass rate for exams taken with two to four years of experience after graduation are almost the same. An amendment to Section 471.015, F.S., would place the minimum age for licensure at 18 and would allow exam candidates who have earned a board-approved engineering technology degree to obtain licensure with six years of experience gained under the supervision of a Professional Engineer. Bear in mind – these candidates for licensure must take and pass both the Fundamentals of Engineering (FE) exam and the PE exam. In another change to Section 471.015, F.S., anyone seeking licensure in Florida by endorsement and who has not taken the FE exam would need to have held a valid PE license in another state for 10 years (down from the current requirement of 15 years), and have 15 years of continuous professional-level engineering experience (down from 20 years). Also, if that individual has not taken the PE exam, the applicant would need to have held a valid PE license in another state for 20 years (down from 25 years) and have 25 years of the same level of experience (down from 30 years). A couple of other items worth mentioning are a change to Section 455.271, F.S., which would allow for reinstatement of a license that has gone null and void due to non-renewal. Currently, licensees must reapply and receive a new license number. This change would allow for continuity in record keeping if passed. Also, proposed changes to Section 471.023, F.S., would eliminate Certificates of Authorization for companies, providing instead for a registry of engineering companies. And a change to Section 471.025, F.S., would change how a successor engineer deals with signing and sealing work done by the original engineer. Lastly, a proposed amendment to Section 553.79, F.S., would expand the requirement for a Special Inspector on both new construction of threshold buildings and repairs to existing threshold buildings. We encourage all licensed engineers in Florida to review the proposed bills. Feel free to contact your legislator if you have questions or concerns.